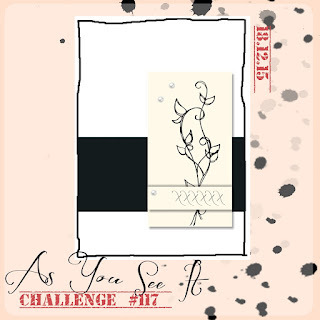 The sketch the past two weeks from As You See It Challenge was so very inspiring. 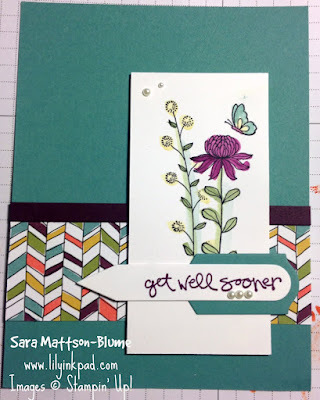 I designed this card, used it for a swap, and my Stampin' Celebrations group this month. I used my aquapainter and ink pads to color the images from the Sale-a-bration Stamp Set Flowering Fields. My main colors were Blackberry Bliss, Lost Lagoon, and Crushed Curry. The green is Mossy Meadow. However, it all lightened up when it dried. But it looks fabulous. The layering on the sentiment is from the Handpicked framelits. I layered two of the picks and added some pearls. By the way, I learned that the images in this stamp set are featuring South Pacific flowers, so that means I can color them any way I choose. Usually, if it's a flower I know, I have to color them botanically correct. I am free with these flowers! So pleased that you liked the sketch and joined us this time at As You See It! I like the way you've coloured the flowers and I like that you've been brave enough to make your 'white' space a strong colour. Lovely work! 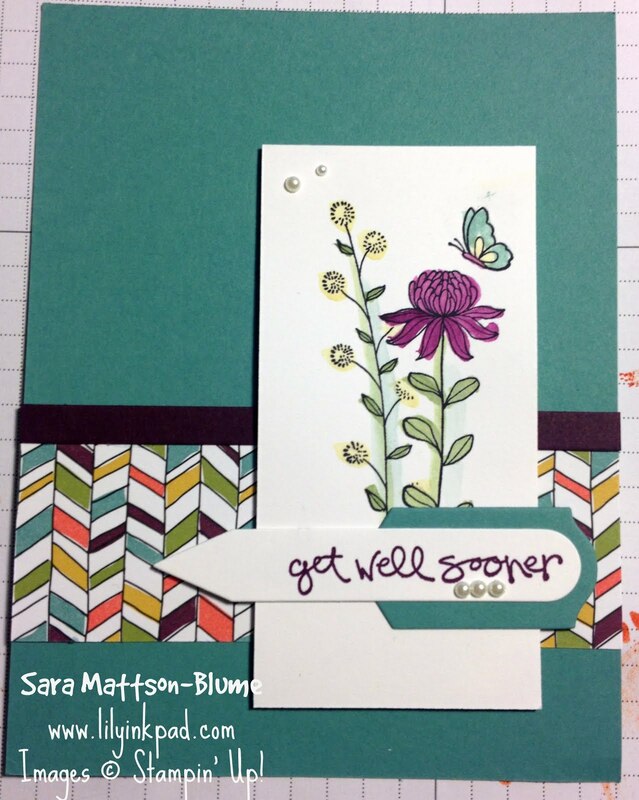 I love your colour choices, Sara! Great design detail! Happy New Year from all of us at As You See It Challenges.